Sororities at Grove City College are unlike sororities at public universities. 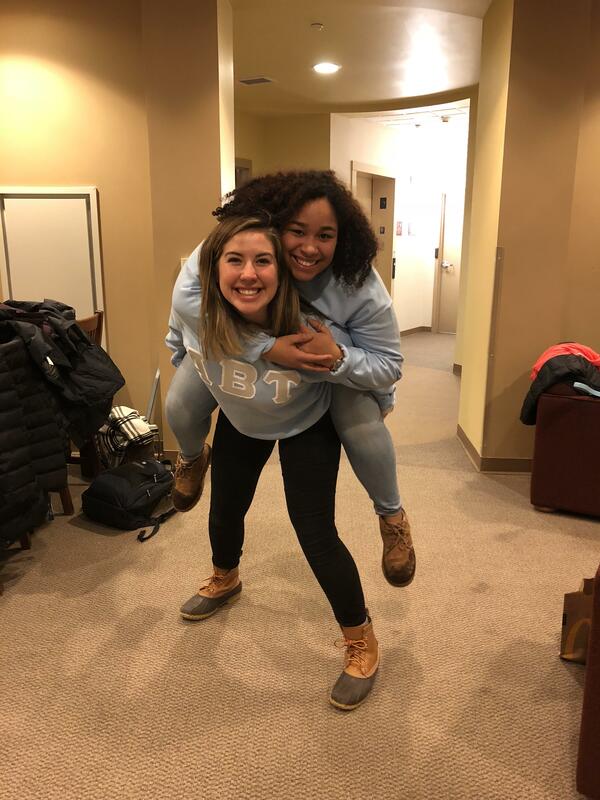 These groups on campus are closely regulated by the College, provide an ample amount of ministry opportunities, and create space for students to form life-long friendships. There are eight sororities on Grove City’s campus. This provides a chance for students to find a group that best fits one’s personality. Junior Leah Bovard with her little Alexis King. Some of Leah’s best friends include her little, Alexis King. Now, a little is a new member of the sorority who is being mentored by her big, in this case Leah. 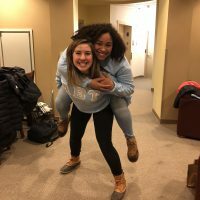 The big-little relationship is set up so that the new girls in the sorority can have an upperclassman mentor them in the ways of the sorority but in life as well. 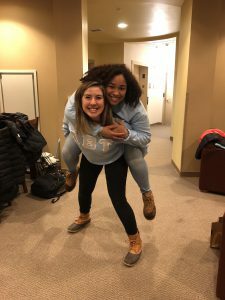 Within the Alpha Beta Tau sorority at Grove City, close-knit friendships are being born through community, fellowship, and a wide variety of girls that make up the group. The ABTs are a group of about sixty girls who are extremely welcoming, kind, and ready to lead new members in the way of Christ.